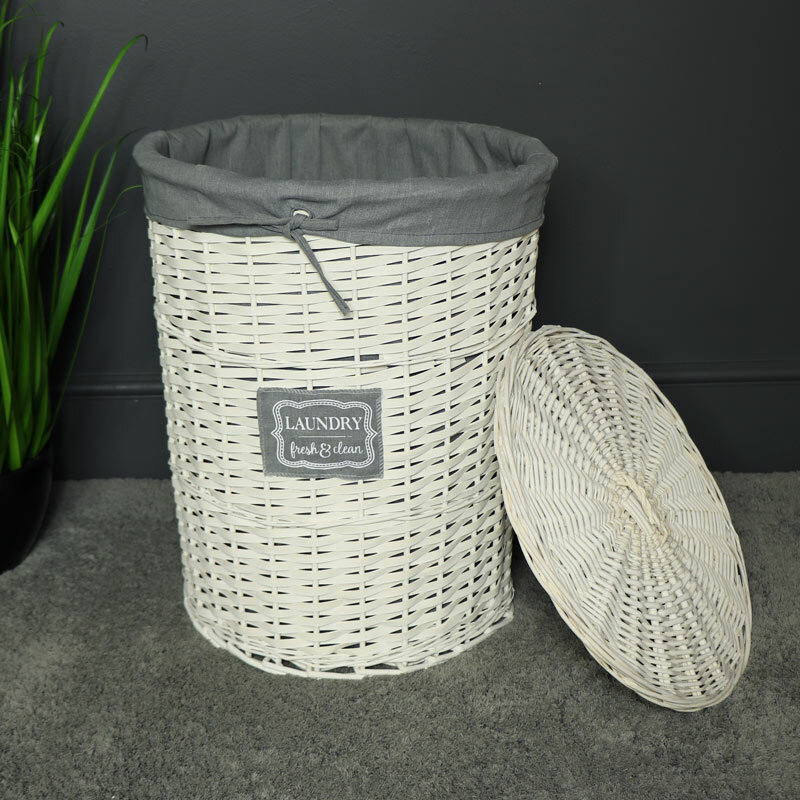 Large round white willow wicker laundry basket. Hand made and lined with grey linen fabric. Shabby chic home decor accessories. 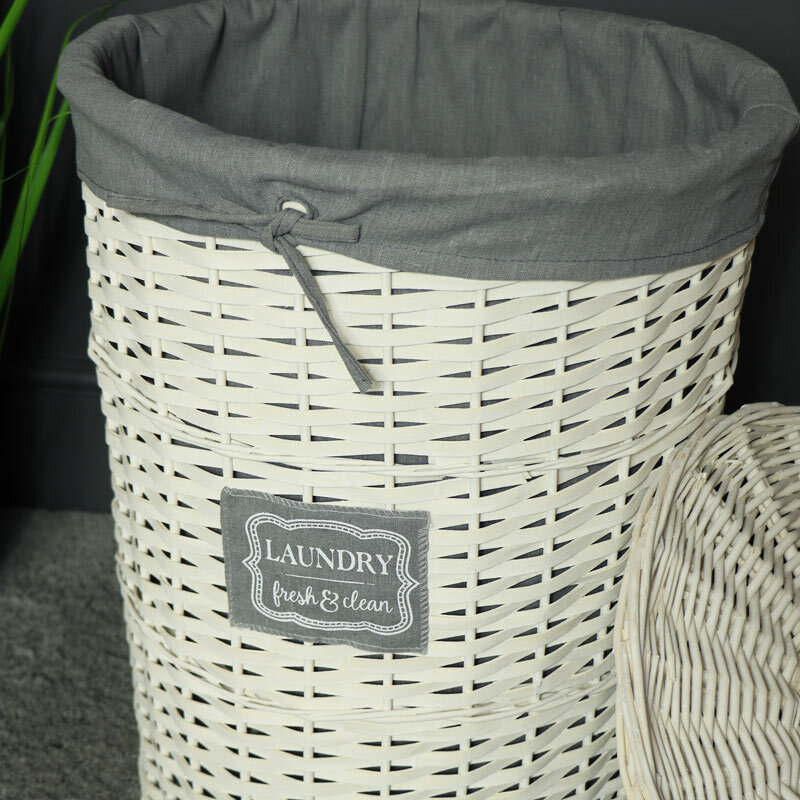 The laundry hamper comes complete with a lid to cover the top. Also available in 2 smaller sizes Offers a great storage solution for all the dirty laundry until wash day. 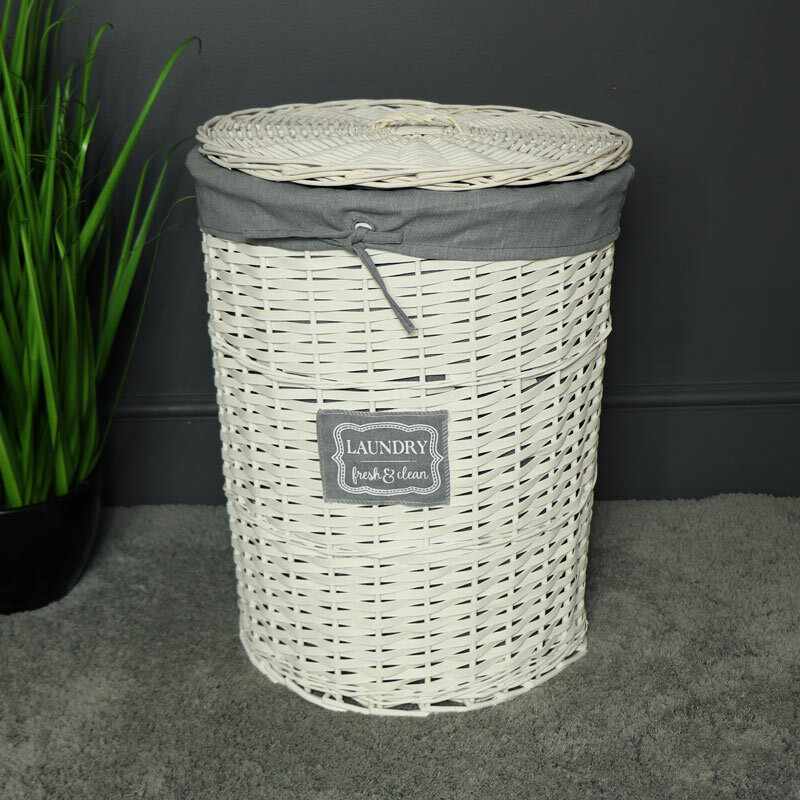 Large round white willow wicker laundry basket. Hand made and lined with grey linen fabric. Shabby chic home decor accessories. Offers a great storage solution for all the dirty laundry until wash day.